Did I Find a Scandal in My Family Tree? If the people involved are long gone, a scandalous story should be OK to share. Don't you think? I've read thousands of birth, marriage, and death records in my family tree research. They're mostly in Italian and from the 1800s. In my tiny ancestral hometowns, a few babies were born out of wedlock each year. Sometimes the birth record names the mother, but not the father. Most of the time it doesn't name either one. Only the midwife knows who gave birth to the baby. Doesn't that seem like it should have been a huge scandal in the early 1800s? Especially for the woman who admits to having a child out of wedlock. But it happened every year. That's just the way it was. 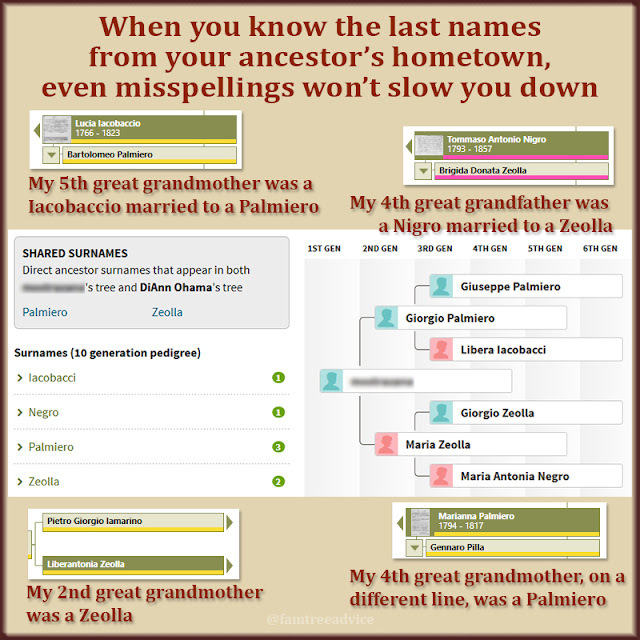 Yesterday, after making a ton of edits to my Family Tree Maker file, I thought I'd better check it for errors. I exported my GEDCOM file and tested it with Family Tree Analyzer. It's a free program with a ton of powerful tools. What a lifesaver that program is. It found some mysterious duplicate fact entries I didn't know were there. It found a woman, all by herself, connected to no one. She was a forgotten remnant of a marriage I'd decided to delete from my family tree. But the most interesting thing Family Tree Analyzer found may be a deep, dark family secret. This baby was born just a little too long after his father died. 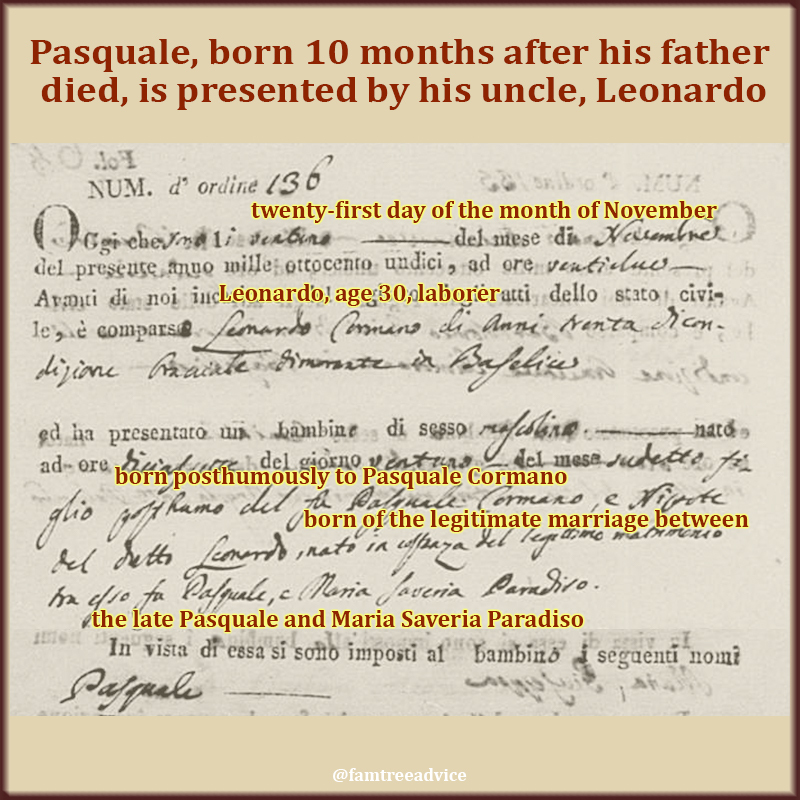 Pasquale Cormano was born on 21 November 1811, a full 10 months after his father died. 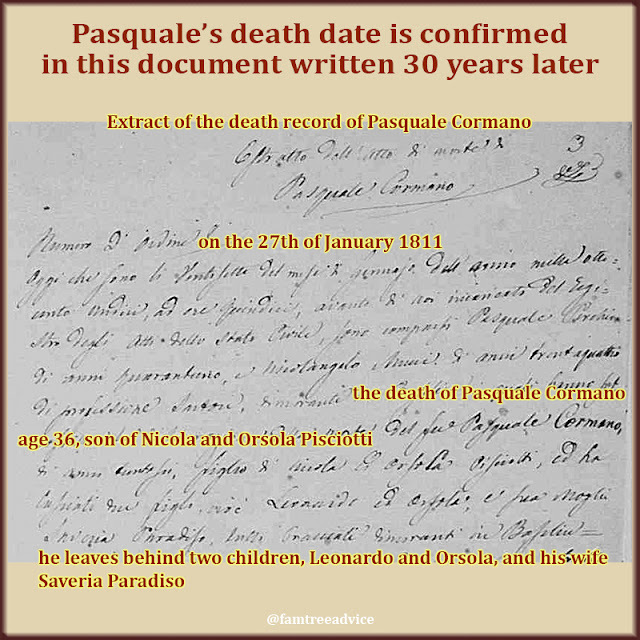 The death record of his father, also named Pasquale, shows he died on 27 January 1811. Another copy of the record, written for his grandson's marriage in 1841, confirms that death date. That supposed 10-month pregnancy made me look more closely at all the documents. It was baby Pasquale's uncle, Leonardo Cormano, who presented the baby to the mayor when he was born. That's normal when the father of the baby is dead or unable to bring the baby himself. It was traditional to name a baby after their father if he died before the baby was born. If the dead man's child was a girl, she got a feminized version of her dead father's name. Like Pasquala, Giuseppa, or Giovanna. 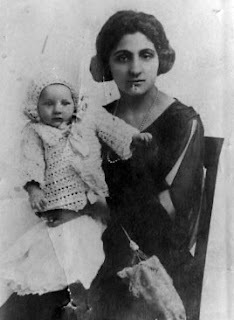 When Pasquale Cormano's widow, Maria Saveria Paradiso, gave birth that 21st day of November, she named the baby Pasquale after her late husband. But…are we to believe that Maria Saveria and her husband had relations as late as the day of his death? And that the baby was in utero for a whole extra month? Was something scandalous happening when this man was about to die? I checked out the baby's "Uncle Leo" Cormano. He was a few years older than his brother Pasquale. 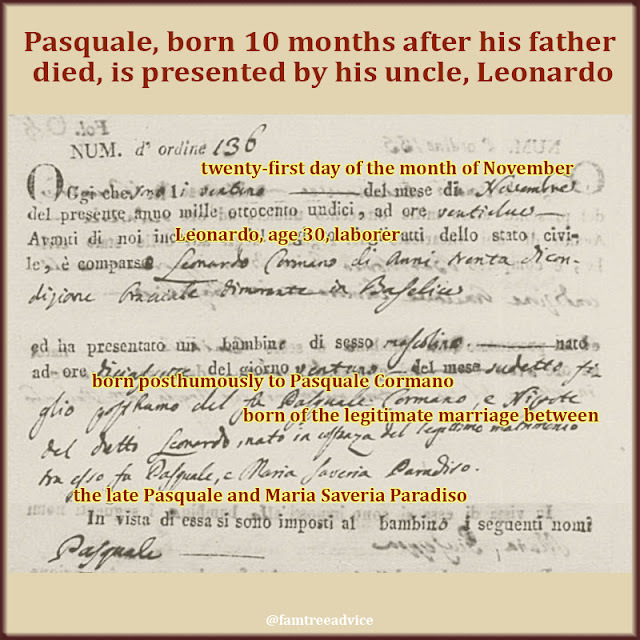 And when he died, 13 years after baby Pasquale was born, he had never married. He was a 54-year-old contadino—a man who worked the land. The mother of this miracle baby, Maria Saveria, was a young mother of two when her husband died. When she finally gave birth to little Pasquale, she was 25 years old with 2 toddlers and an infant. 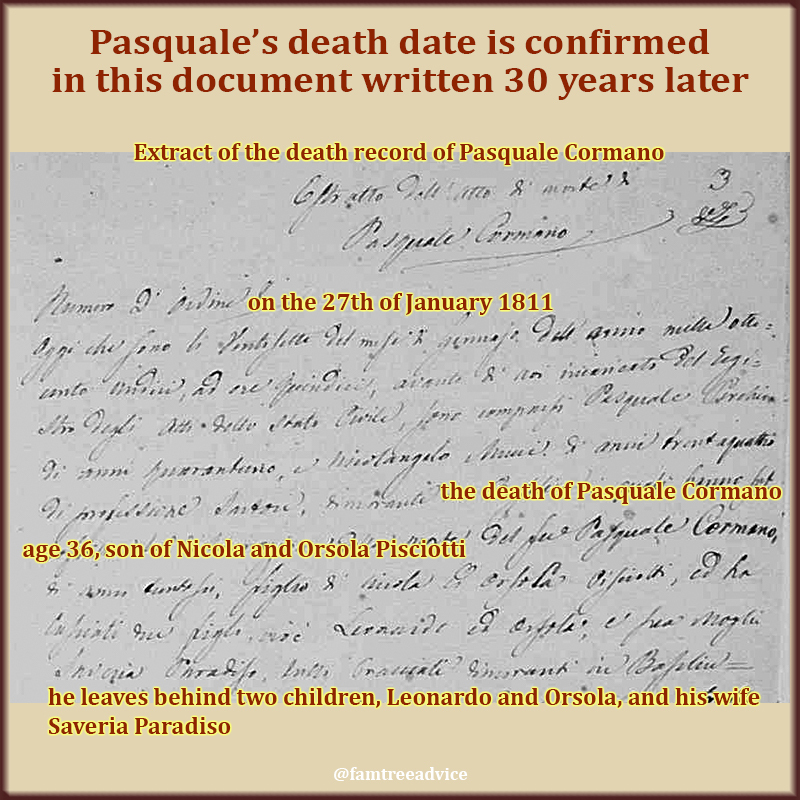 Isn't it easily possible that the ill-fated Pasquale was not the father of the baby? Isn't it intriguing to think that "Uncle Leo" may have been more involved than it seems? So, what happened after baby Pasquale was born to a dead father? In 1814, widow Maria Saveria had 3 children, ages 7, 6, and almost 3 years old. That's when she married a widower named Giovanni Palmieri. The year before, Giovanni's 9-year-old daughter died, leaving him with 5 young children. It's hard to imagine that their marriage, creating a household of 8 children, was a better option. But they each needed a partner to help raise the children and keep a house. Ten years after Maria Saveria and Giovanni married, "Uncle Leo" died alone. Maria Saveria lost her 2nd husband in 1831 when she was 45. By then, another of Giovanni's children had died, the older children were married, and only her 3 Cormano children were still with her. You know what that means, don't you? I have to search for Maria Saveria's third marriage! What will a routine check of your family tree file reveal? 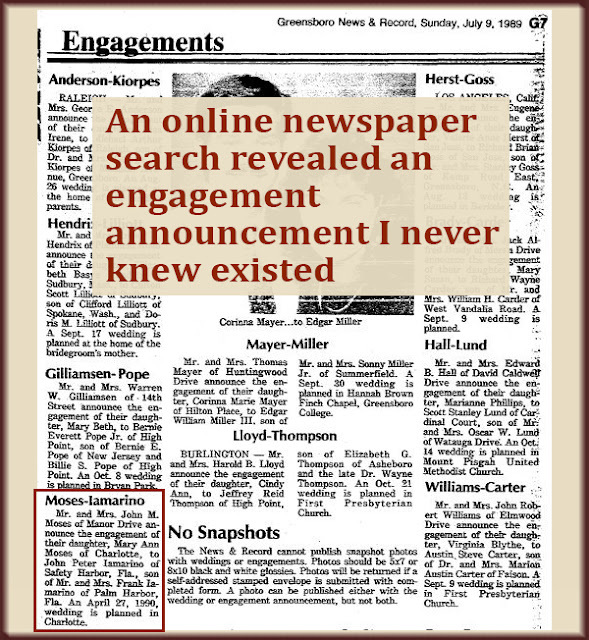 How Much Can Your Learn from Your Relative's Obituary? A well-written obituary can tell you so much about a relative's descendants. 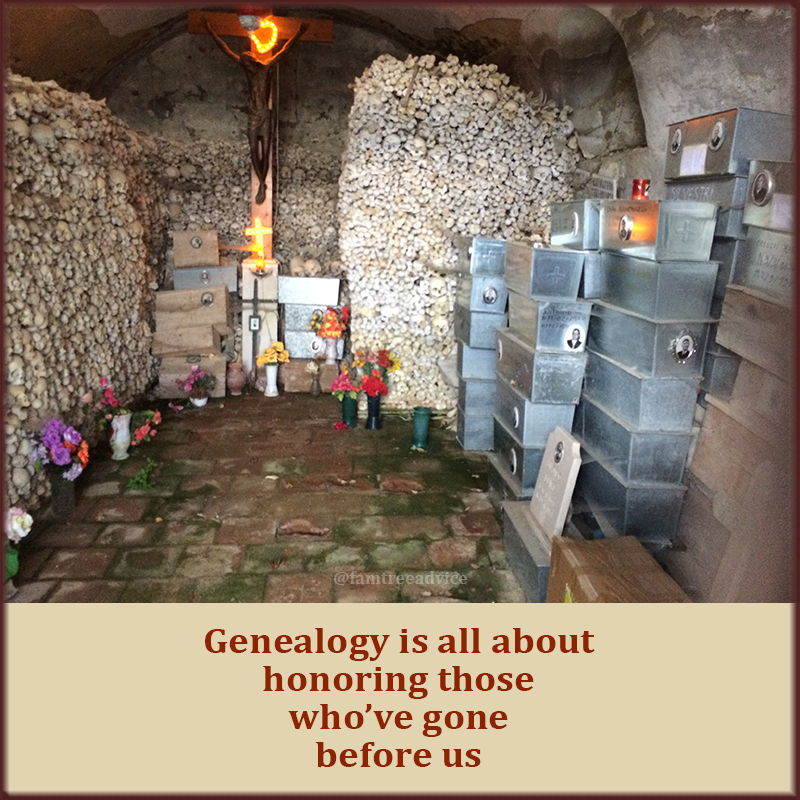 I am in awe of professional genealogists like Megan Smolenyak. She finds the living descendants of long-lost military servicemen so their remains can be returned to the family. Living descendants are hard to find! Let's say you're looking at a family in the 1940 U.S. Census with lots of little children. Unless the boys' names are very unusual, how can you be sure where they are today? And what about the girls? How can you find them if they married? What are their names now? The only tool I have—one that can be incredibly helpful—is a long, detailed obituary. Do you know how many names and facts you can learn from a well-written obituary? Imagine the deceased is your mother's third cousin. You don't know what became of her, who she married or who her kids are. Let's take a closer look at everything there is to learn from a detailed obituary. The following is a real obituary. I've changed every single name and place to protect the family's identities. The obituary text is in black and my notes are in reddish brown. Let's examine this obituary and put together a family tree based on the facts presented. Joan was preceded in death by her siblings, Henry, Howard, Andrew and Anthony Ericson. [We've already learned that these siblings were younger than Joan, but we now know we can look for their death records.] She leaves behind to cherish her memory two siblings Anna Elena Worthington [Anna Elena may be widowed or divorced since she has a different last name, but no husband's name is given.] and William (Irene) Ericson [William is Joan's brother and Irene is his wife. While it seems odd, this is how it's done. The spouse who is not the blood relative is mentioned in parenthesis. ]; a son, James Emery Logan, Jr. (Elaine), grandchildren: Fred Nelson [the Nelson grandchildren should belong to Joan's first son Anthony Mark Nelson, Jr. and his wife Darlene Stanton. ], Edgar (Maryann) Nelson and Victoria Nelson, James Emery Logan, III (Colleen), Valerie T. Simpson (Tyler) [Valerie was a Logan, and this tells us she married Tyler Simpson. ], Christian F. Logan (Elizabeth) and Jacklyn Logan, 12 great grandchildren, 1 great great grandchild and a host of nieces and nephews. That was a LOT of information. We can build a family tree from this information, plugging in the facts we have. We'll make some guesses for birth years. My rule of thumb is to estimate that a husband and wife are about the same age, they had their first child at age 25, and the children were born 3 years apart. An estimation like this will put your people's ages in the right ballpark. Your research will be a little easier when you have a rough idea of their ages. 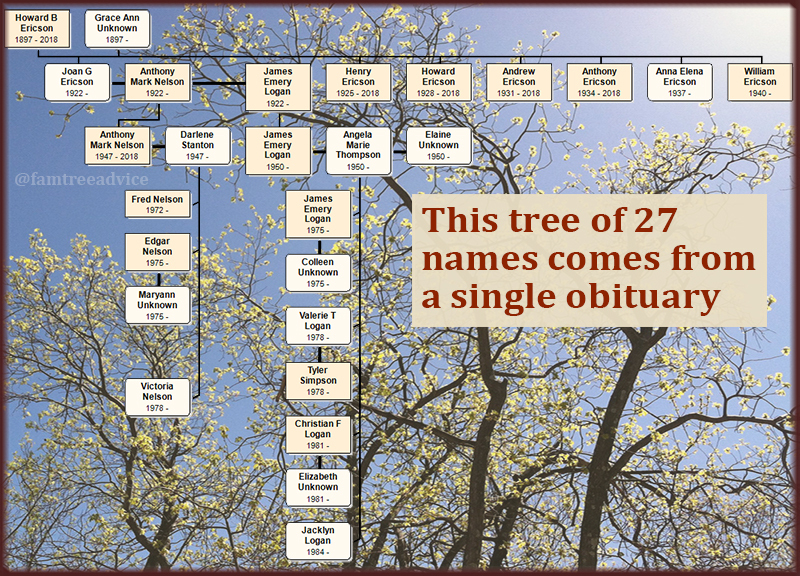 Now, with a basic tree, we can search for all these names and find hard facts. This tree is made entirely from information in the obituary. If Joan were your distant cousin, how happy would you be right now? 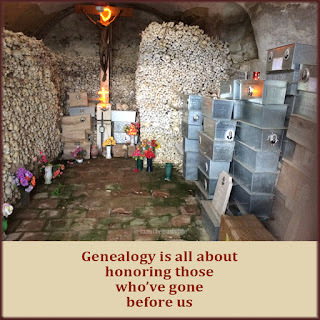 When the day comes that you're asked to write an obituary for a loved one, like your parent, how many genealogy clues will you include for future generations to discover? Don't skimp on the details. Maybe it's time to let your immediate family know what you'd like your obituary to say. You may not trust someone else's family tree, but you can stand behind your facts. Right? Every now and then you're going to find a very intriguing hint. From what you can see, it looks like it's your family. It's got a lot of names you're missing. You get a little excited. Then you realize this potential jackpot of a family tree has no sources. No documents. They haven't even capitalized all the proper names. This is not a carefully crafted family tree. This sad story should motivate you to fortify your family tree. Make your tree be the exciting find that keeps on giving. 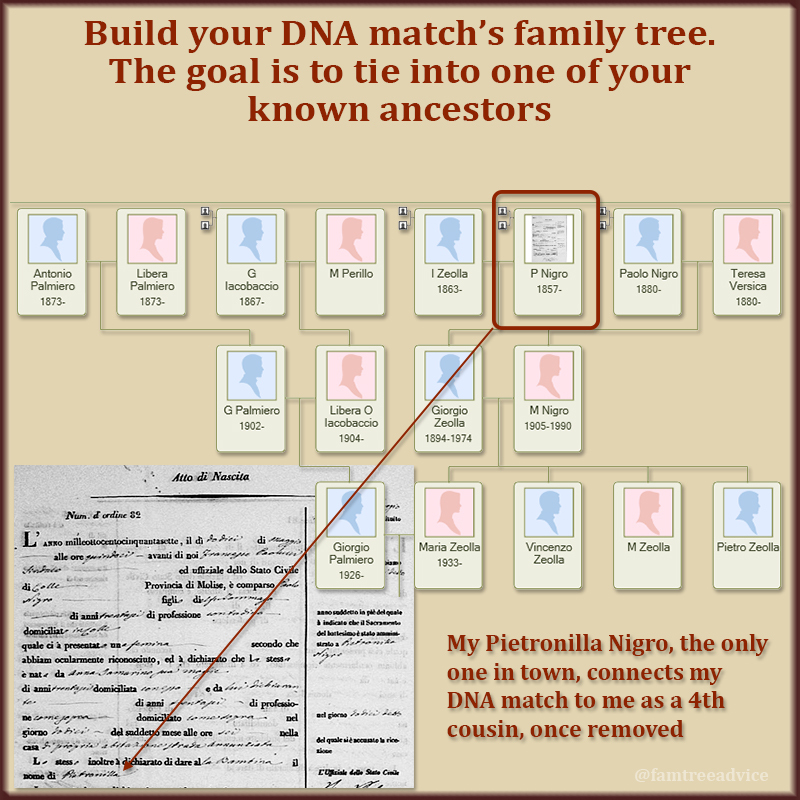 Here's how other genealogists are going to know your family tree is the real deal. It's extremely well-crafted. These 3 things will prove to anybody that your family tree is correct. If your tree has this much solid evidence, who could doubt you? The last 3 might be the most likely to have errors, but they can provide supporting evidence. What aren't official are stories passed down through the generations, family bibles, and my brother's college project to write about our family history. (Sorry, Jay.) You've got to strive for those official documents. 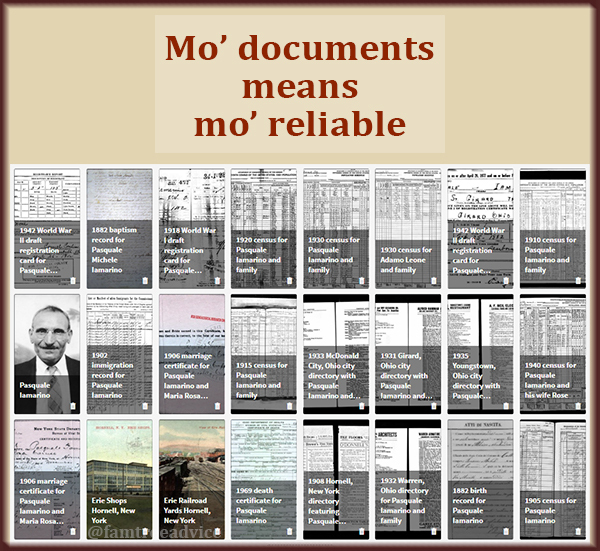 Lots of times you can't find an official document or an image of a document to support a fact. A good example is the "last place of residence" listed on the Social Security Death Index (SSDI). That's a fact you want to put in your family tree, but you haven't got any document. That's when it's important to record the source of the fact. You can find details about the source wherever you're viewing it. If it's a website like Ancestry.com, there is a detailed description of the source. If you're in the archives looking at microfilm, the film's box or the beginning of the reel will hold some information. What's most important is to capture the accurate name and origin of the source. "U.S., Social Security Death Index, 1935-2014; Social Security Administration. 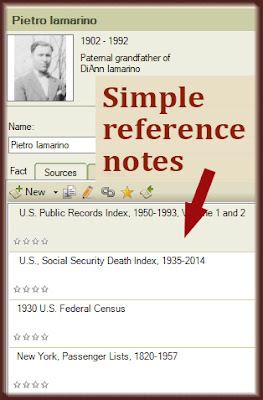 Social Security Death Index, Master File." 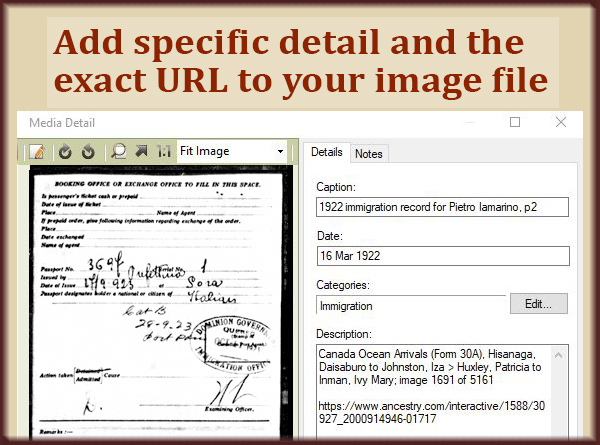 Then capture something more specific to your ancestor. My late step-grandmother's SSDI listing has an additional source citation: "Number: 081-07-1687; Issue State: New York; Issue Date: Before 1951". If someone's tree has that level of documentation, are you seriously going to doubt them? 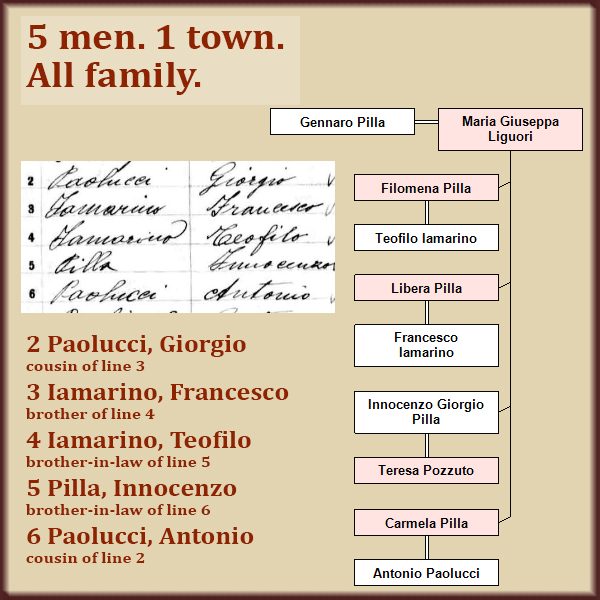 I spend tons of time going through Italian civil records, piecing together my ancestors' families. I love it when an ancestor's official birth record has annotations in the column. Those notes may include their marriage date and place, spouse's name, and their death date. That's official and corroborating evidence. Do your best to gather all a person's documents, and you'll find that you have supporting sources, too. A mother's maiden name on your ancestor's death record is not reliable. 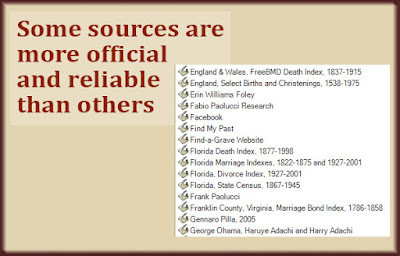 But if it matches the name on your ancestor's birth and marriage records, it is very reliable. Start replacing your sketchier sources with more official ones. Some of my sources are "my cousin told me." That might be fine if your cousin told you "this person's nickname was Baldy." 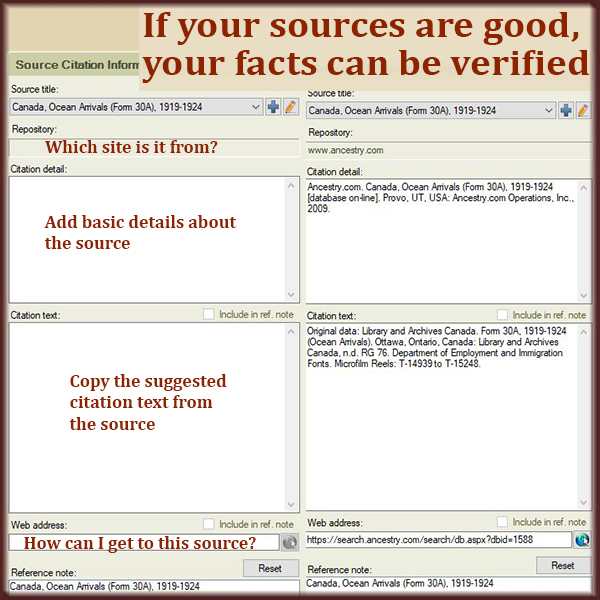 But if the facts are important, track down an official source or an official document. Try to get as many documents as you can for your people. This way you'll have supporting evidence that says, "Yes, he was born on this date in this place. It says so here, here and here." 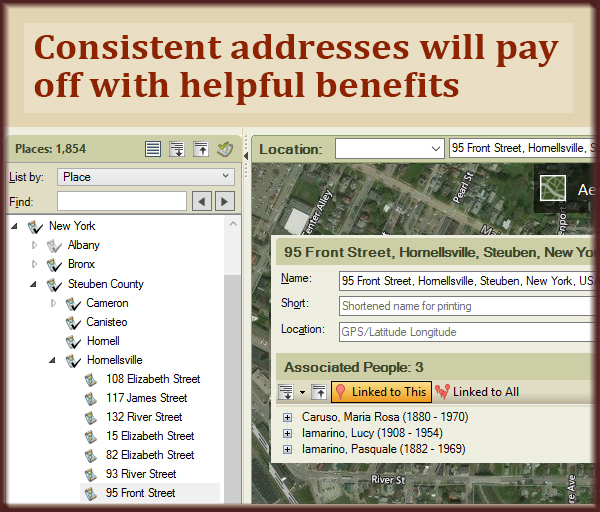 Find each major, available document for the people in your tree and close the book on them. Be consistent in how you record dates and names. Your online tree should show each person's full name. If you're not using software that automatically formats your dates, take the time to type them in the same style. Hopefully you're thinking your tree is in pretty good shape. If so, keep these ideas in the back of your mind. The next time you're reviewing someone in your tree, think about how you can make their facts more bulletproof. Make your family tree be exactly the type of tree you'd love to find as a hint! Who and what are you overlooking on that ship manifest? On 10 February 1909 my great grandfather boarded the S.S. Cretic in Naples, bound for New York City. He came to America a handful of times, earned money and went back home to Italy. But his 1909 ship manifest is absolutely my favorite. His name is on line 3. But the men on lines 2, 4, 5 and 6 are all from his hometown. In fact, they're all related. Closely related. Have you ever noticed on any of your relatives' ship manifests that people are often listed by town? You'll see several lines of people from one town, then several lines of people from another town. Are you looking carefully at the other people from your relative's town? What are their last names? What are the names of the relatives they're leaving at home? Who are they joining at their destination, and what address are they going to? If you look at these facts, you may find that some of the townspeople are related to your ancestor. Take a look at my 5 townsmen. Their relationships may not be obvious. Find all the clues and do some digging. On lines 3 and 4 you have 2 Iamarino brothers. They happen to be married to 2 Pilla sisters. Those sisters have a brother Innocenzo on line 5. They also have a sister who's married to Antonio Paolucci on line 6. So the men on lines 3–6 are brothers or brothers-in-law. They're all travelling with another Paolucci on line 2. He is their cousin, and with some more research, I'm confident he'll be a closer cousin. Maybe he'll be another brother-in-law, too! 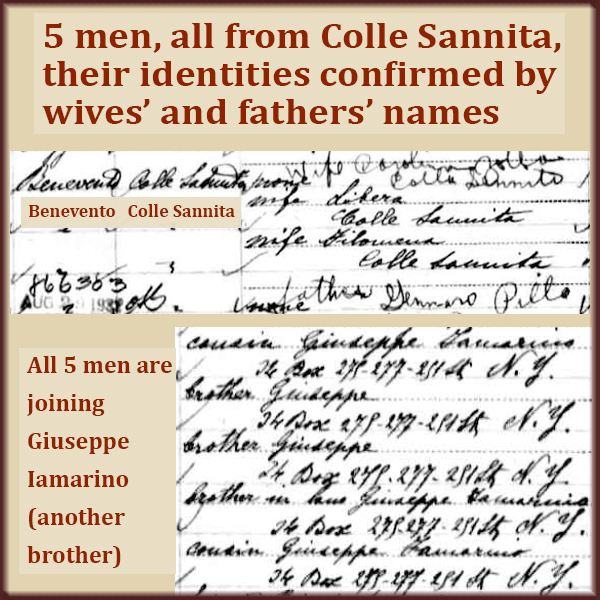 The first thing to catch my eye on this ship manifest was the name of my great grandfather's hometown: Colle Sannita. I saw it there with several ditto marks, meaning here were several people from the same town. Not a husband and wife and their kids—but 5 men. This makes a messy graphic, but humor me. Look beyond the name and ages, and see all there is to learn. When I found this ship manifest, I was searching only for my great grandfather, Francesco Iamarino. But all those Colle Sannita people were calling out to me. This was the first time I learned of my great grandfather's brothers: Teofilo, on the ship with him, and Giuseppe, who they were going to join. I checked the column where passengers list the name of a relative they left at home. Francesco lists his wife Libera. That's my great grandmother. Teofilo lists his wife Filomena. Suddenly I had proof for a family story I'd heard. 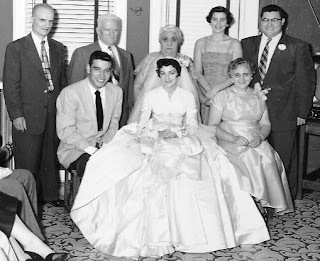 Two Iamarino brothers had married two Pilla sisters. Sure enough, Libera and Filomena were the sisters who married the brothers Francesco and Teofilo. Notice how all 5 men are going to the exact same destination. They are going to an address in New York City to join Giuseppe Iamarino. Wait. What? 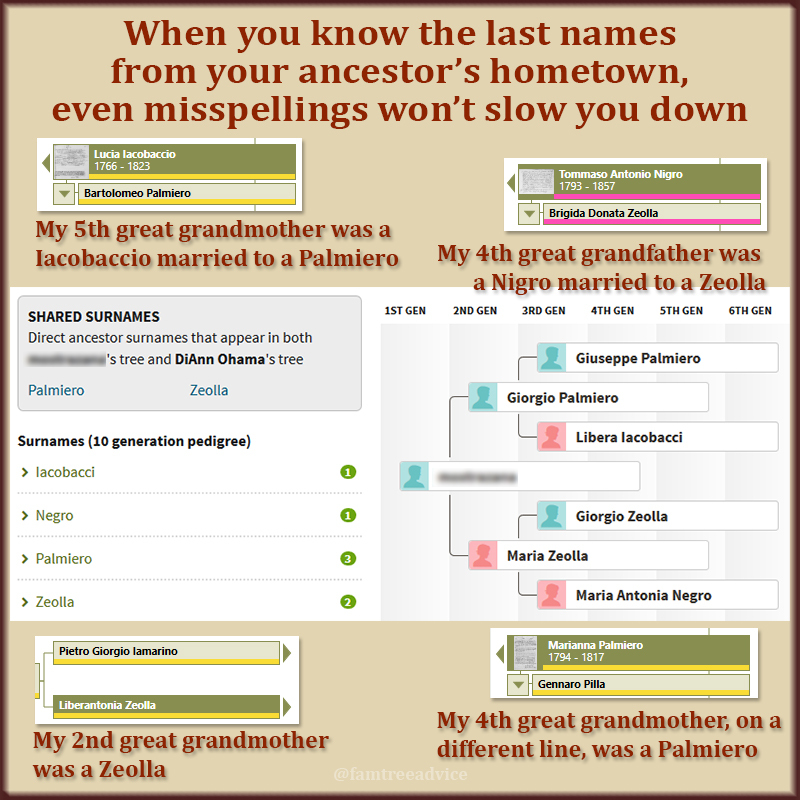 Is Antonio Paolucci on line 6 both my great grandfather's cousin and my great grandmother's brother-in-law? I've got more research to do. If you're downloading your ancestor's ship manifest and simply filing it away, go back and look at it. How many names, relationships and clues are waiting there for you to discover? Put that person's facts down! You don't know where they came from. I'll never forget the time someone took my grandfather and added him to their family tree. They didn't care that my grandfather was born in a different town and province than their family. They weren't concerned that his last name—Leone—is practically the Smith of Italy. They just took him and my grandmother! That's actually one reason why I started this blog. I want us all to be more professional in our genealogy hobby. 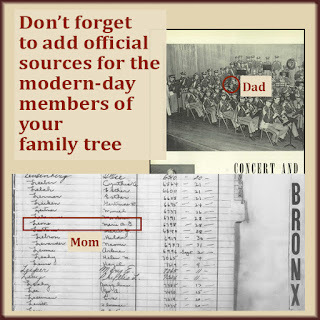 Do your research with care and skill, and your family tree won't be riddled with non-relatives. I'll admit I've been guilty of accidentally adding non-relatives to my family tree. It tends to happen when I'm way out on a limb, gathering facts for a 3rd cousin's husband's mother's family. When you get into that level of not-my-people territory, you have no family lore and memories to guide you. It's too easy to add a man with the right name and the right hometown—even though you haven't proven he's the right guy. To avoid adding the wrong people to your family tree, set these unbreakable ground rules. Shaky leaf hints for my grandmother revealed trees that copied from me before I had the facts right. A shaky leaf or someone else's tree is nothing but a lead. Promise yourself you will look at the hint or tree, jot down the facts, and seek proof on your own. 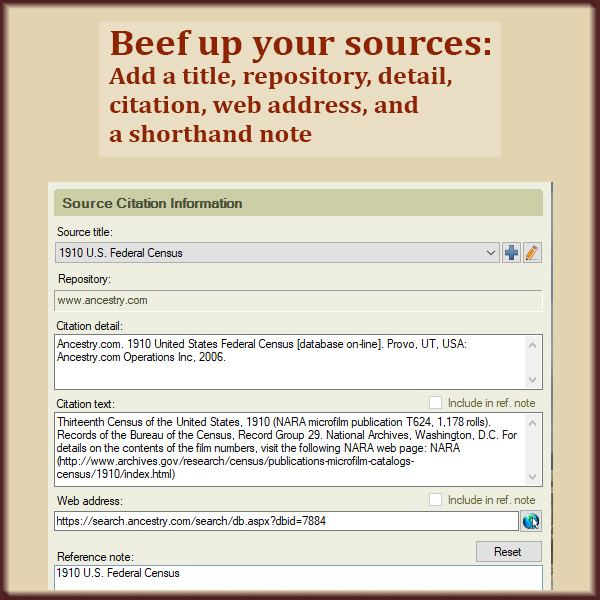 Find the census forms, ship manifests and draft registration cards yourself. Weigh those documents yourself. Decide if the person belongs in your family tree for yourself. 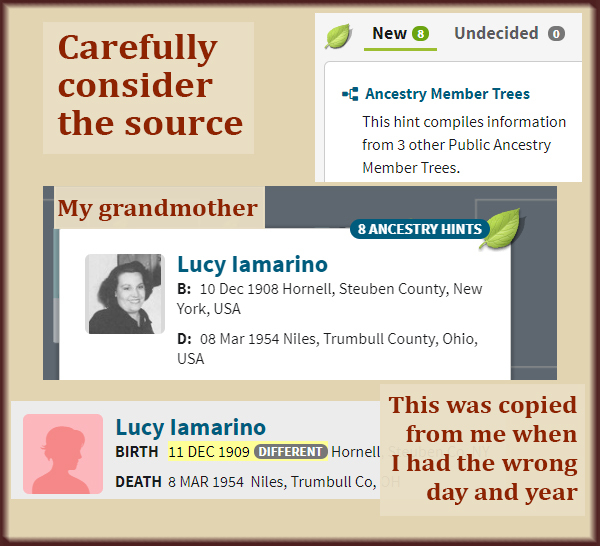 Remember: The person whose tree you're looking at may be newer to genealogy than you are. Let's say you found a woman named Mary Bianco in someone else's tree as a search result. Some of her facts match the Bianco family in your tree. She has the right last name, her father has the right first name, and she lives in the right town. Is that enough to add her? No, it isn't. Examine all the facts about her. Does she have the right first name, or is it a variation of what you expected? Does her mother's name match the family you have? Are her siblings' names right? Is she the right age? Was she born in the right place? If some of her facts don't match the family you want to add her to, stop a moment. You need to prove or disprove her relationship to your family with more research. Can you find her in other documents? Let's say you have her with a Bianco family in the 1900 census. But her mother's name seems wrong. Search for this family with the wrong mother in another census year. You may find this is a different family than yours. They have similarities, but other documents prove they're the wrong family. Not your family. You just saved yourself from making a big mistake. If you're using an unofficial source, make careful notes! You may decide you totally believe someone else's tree. You recognize the author's name. The woman you're researching is the tree owner's grandmother. You really want to add "Mary Bianco" to your tree. If you're feeling confident enough to add her, add the source to your tree, too. Note that these facts came from "The Bianco Family Tree". Capture the URL of the tree. If Mary Bianco is important to you, someday you may add better, stronger sources for her name, birth and other facts. Imagine for a moment that you hired a professional genealogist. Would you still want to pay his fee if one of his sources was "Mary Bianco's granddaughter's tree"? Allow me to harp on one of my favorite themes again. Your family tree is your legacy. Make it as valuable as possible! Imagine your grandchild inherits your family tree. How reliable will the information be for your generation? But years from now, if my grandchild wants to carry on my genealogy work, what proof will they have for facts about me, my siblings and my cousins? Everyone says to start your tree with yourself and the facts you know. Then you move on. 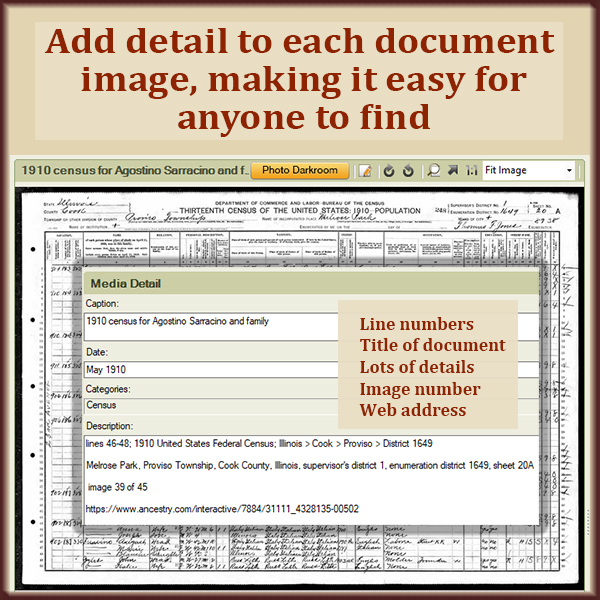 Finding census forms, draft registration cards, death records and so much more. But have you returned to yourself and your generation to find proof for your facts? You should have your own birth certificate in your possession. I even have my baptismal certificate, along with two marriage certificates. Of course, I'm not going to ask my brother and my cousins to let me scan their birth certificates. So what do you do? In my experience, the birth dates given in these collections are often wrong. 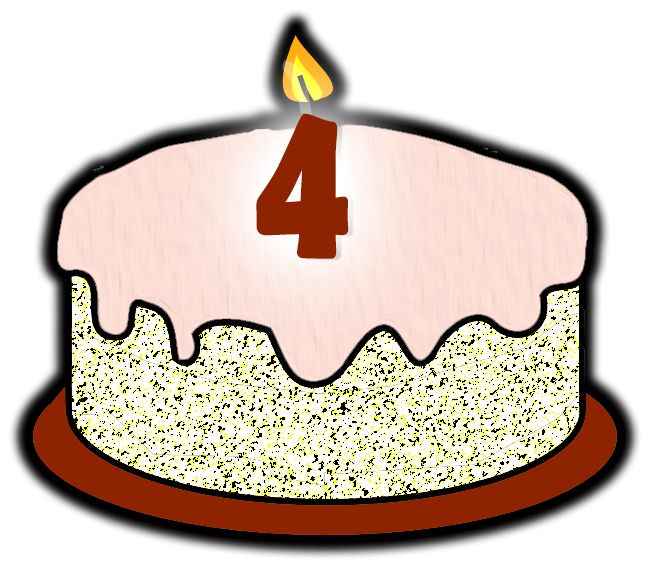 For me, an entry might say I was born on the 1st of the month instead of the 24th. But it generally has the right year. in a specific range of time. It pays to watch social media for genealogy news. That's where you can learn about groups like Reclaim the Records. They're on a mission to get access to the genealogical and archival data we genealogists want so much. They've scored tremendous wins, particularly for New York and New Jersey documents. But they're also working to release data from many U.S. states. Seeing the index of New York births, I finally found my grandmother's birth certificate number. 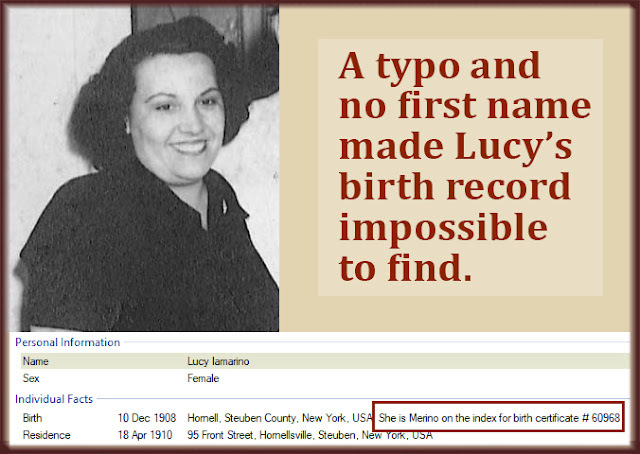 Lucy's birth record has eluded me for years. Now I know her New York State birth certificate number is 60968. On the index she has no first name and a badly misspelled last name. No wonder I couldn't find her certificate! It's definitely her because my father has always known she was born on 10 Dec 1908 in Hornell, New York. I haven't found much historical information on my family in the newspapers. But I'm constantly finding references to my brother in newspapers. His career has always had a big public relations aspect to it. So any search for Iamarino brings up my brother. I found his North Carolina marriage announcement that way. Proof of a modern-day marriage may be found in the bride's hometown paper. …will go a long way toward strengthening your legacy. Set aside some time to find documents or public sources for your own nuclear family. Some day your grandchild may thank you from the bottom of their heart.